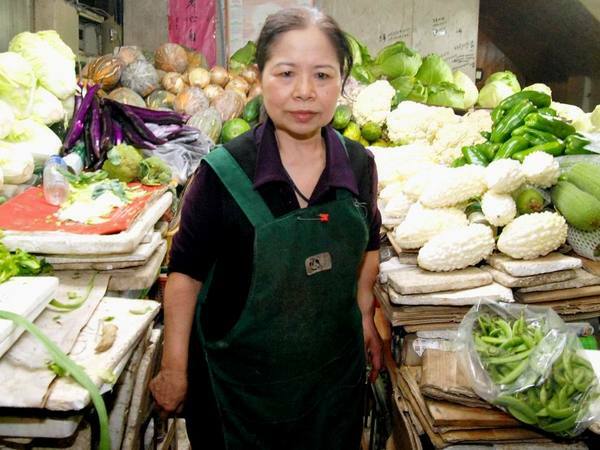 Taipei, April 30 (CNA) A vegetable vendor from eastern Taiwan has made the U.S. Time magazine 2010 list of the 100 most influential persons in the world based on her philanthropy. Chen Shu-chu was ranked eighth in the “heroes” category of the 2010 TIME 100 list. “Out of her modest living, Chen, 59, has managed to donate nearly NT$10 million (that’s US$320,000) to various causes, including US$32,000 for a children’s fund, US$144,000 to help build a library at a school she attended and another US$32,000 for the local orphanage, where she also gives financial support to three children,” the magazine states. Chen, who did not complete elementary school because of poverty, said she doesn’t know anything about TIME 100. “I feel kind of ashamed… but I appreciate all the concern shown to me, ” she said, adding that she was never informed about the Time magazine honor. 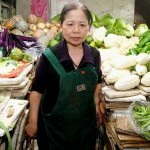 Chen began selling vegetables at a traditional market in Taitung City on Taiwan’s eastern coast when she was 13 years old to support her six siblings. Almost five decades later, she continues to earn every penny the hard way, getting up at 3 a.m. to prepare for her workday. In the market, her stand is always the first to open and the last to close. She was quoted as having told a newspaper that “money serves its purpose only when it is used for those who need it.” According to Time Magazine, she is planning to establish a fund to help the poor with education, food and health care. “Amazing, but of all she has given away, her greatest gift is her example,” the citation states. This Wall Street banker creates a strong contrast to a simple vegetable vendor. Who is more important? And who is doing God’s work? I think everyone know the answer.